Leaving town for a couple of days? Need someone trustworthy to watch your fur babies? There are a number of resources available for pet parents looking to find well qualified pet sitters in your area. The groups and websites listed below are some of the most highly rated and used businesses for pet sitting. One of the groups that you can reference is the National Association of Professional Pet Sitters (NAPPS). This group is a national non-profit organization for pet sitting businesses that offers a zip code locator feature. Their mission statement states that they are, “The only National non-profit professional pet sitting association dedicated to setting the industry standard and championing the welfare of animals.” Visit their website at http://www.petsitters.org. A second group to check out is Pet Sitter International. PSI is the world’s largest educational association for professional pet sitters since 1994. They are dedicated to educating their pet sitters to ensure a positive experience for their customers. This is a member-based organization in the pet sitting industry that offers a locator feature on their website as well. Check out their website at https://www.petsit.com. Rover.com is a widely used website as well. They pride themselves on the slogan, “Rover sitters will treat your dog like family.” The site offers local sitter in over 10,000 cities, and you have the option of dog boarding, drop-in visits, doggy daycare, dog walking, etc. When you search for your perfect sitter, it will also ask you the size of your dog and some extra information to make sure that you are matched with the perfect person. If you are deciding who or where to go to find your perfect pet sitter, there are a couple of factors that we think you should include in your search! Ask for references: A good pet sitter will have previous and current clients that will vouch for their care and services. Be sure to ask the references specific questions that you want to be addressed. Select a certified pet sitter: Almost anyone can claim to be a good pet sitter, so it is strongly suggested that you check out national agencies that have sitters that have gone through training and certification. Ask about emergency plans: You’ll want to select a person who is experienced and resourceful enough to protect your pet as well as you would. Make sure they know where the nearest vet is, what the vet’s number is, etc. in case something unexpected happens. Level of service: Some services include live-in care, grooming, etc., while others just offer play time and exercise. You can decide which is the best level of care for your pet, and choose accordingly. Double-check the contract: A potential pet sitter will have complete access to your home and personal belongings in addition to caring for your pet. Study the contract to make sure that everything is agreed upon. 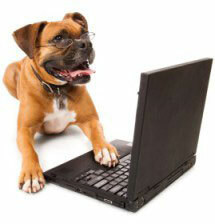 Have you found the perfect pet sitter or organization that you would like to share? Let us know! Happy Professional Pet Sitter’s Week everyone!